Being overweight in Western medicine is understood as the result of overeating and lack of physical activity and exercises. Traditional Chinese Medicine however states that there are more reasons to becoming overweight than these two mentioned above. Mental condition and person’s constitution should be also taken into account. TCM practitioners in the Unites States and Europe say that the most important thing in human body is balance and when something functions wrong, it leads to imbalance in the whole organism which will later result in this or that health problem. Thus TCM doesn’t address to the obesity only, it studies all possible problems that can lead to excess weight. According to Traditional Chinese Medicine Five-element theory, the organ that is responsible for weight problems is the spleen. It is responsible for metabolism. It transports body fluids and produces phlegm. If a person eats a lot of sweets and is physically inactive the spleen loses its metabolic function. This leads to fat formation and later to excessive weight. One of the biggest advantages of Traditional Chinese Medicine is holistic approach to human body. To deal with obesity, TCM practitioners use such TCM techniques as Qi-Gong, massage and acupuncture. They may be used individually or in a combination. Among other ways to deal with this problem are nutrition and herbal therapies. 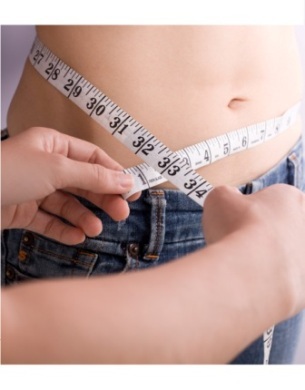 Acupuncture however appears to be the most popular way in weight loss treatment. A lot of researches prove acupuncture to be very effective. The study of the University of Adelaide in Australia states that 95 % of people taking part in an acupuncture experiment report reduced appetite and considerable weight loss. Qi-Gong is another pretty famous self-healing energy practice. It is used to treat different kinds of health problems as well as obesity. According to TCM practitioners to lose weight your Qi needs to be increased. Qi-Gong helps to increase your QI and reduces stress. What makes TCM herbal therapy so special is the way the ingredients are combined. Chinese herbalists usually use a number of herbs to treat different health problems. The minimum number of herbs is four. In some cases herbalists can use up to 20 different herbs. After that, the practitioner measures the daily dosage and put the mix in a bag or container. The patient then boils the herbs to daily usage. Spicy herbs are the most helpful during the weight loss treatment. They vitalize the blood and circulate the qi enhancing the body’s metabolism. Besides all that, it is extremely important to realize that there should be a balance between food consumption and a physical activity. Thus maintaining healthy weight is only possible with proper diet and adequate exercise.